One advantage of print is the durability it sustains among other mediums of communication. We offer a variety of printed media. Everything from your traditional print advertising, customized illustrations, catalogs, package design and corporate identity, or just direct mail, we offer the best services for your needs. Our portfolio also includes large-scale mediums such as tradeshow displays and others. Print media transcends time and it can be customized especially by our professionals for your target audience. We also offer a direct mail service that includes four features in one package. 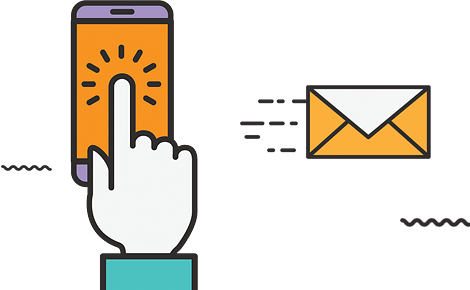 Instead of just sending out a direct mailing, our service consists of direct mail, mail tracking, online follow-up ads and call tracking. Essentially what this means for you is that we are able to pull an address list of your target audience, send out direct mail to them, track the pieces of mail that are sent, automatically follow up with Google retargeting ads that look like your postcards and even track phone calls from the ad. No longer are the days where you send out a postcard and not know where it’s been or how it’s performing. We will be able to advise you on the ideal media option and style/design to reach your target audience in print. Want to see how AnythingPixel can help you with your print design?